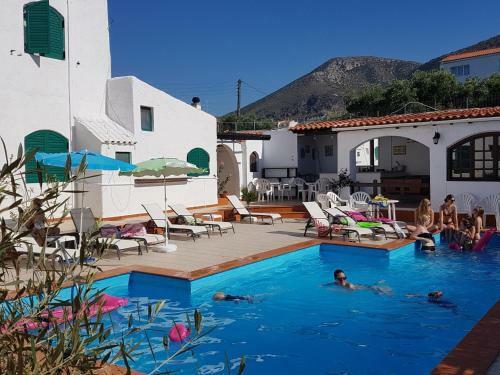 This is a good base for spending your holiday, its pretty central, you are 5 mins from main street, 7 mins from waterfront (pebble/ gravel beaches fyi, and no fish in this area, 30 or so minute walk to nearest fish inhabited waters) and clubs (so great for partying), maybe 12 minutes from the harbour. for the villages, maybe a 20 minute walk and a 30-40 minute walk to old hersonissis. its quite far walk from starbeach, which is a great place to go for a day. 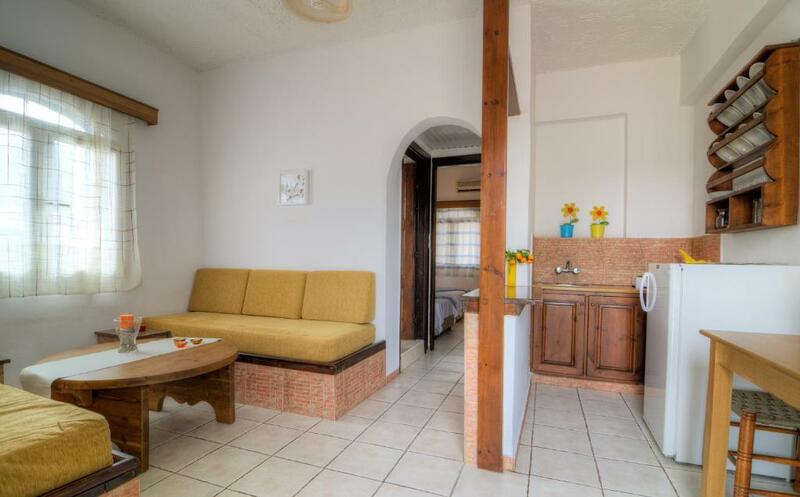 Rooms are well maintained and comfortable and well equipped (no toaster or oven, but hobs). A/C is extra per night but for time i went wasn't needed so cant comment on its use. pool seemed clean but i didn't spend much time there as quite small. We had a great welcome and we're treated very well by the owners. Close enough to the town but also quiet. location was excellent. the size of the apartment was fine. lovely balcony, cleaned daily. lovely pool and outside area. Very cozy apartments. Room was clean, every day cleaning. Everything needed in kitchen. 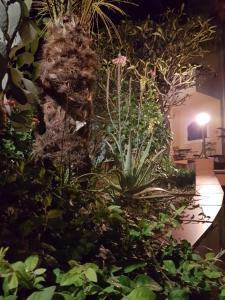 Beautiful flowers in garden, it is possible to make BBQ and to swim in pool. Highly recommended. Good choice for this money. Smart apartment, best service, famous breakfast with home made sweet and salty things. 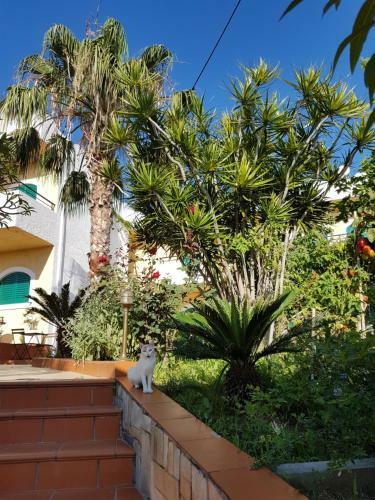 Beautiful garden with lovely cats. 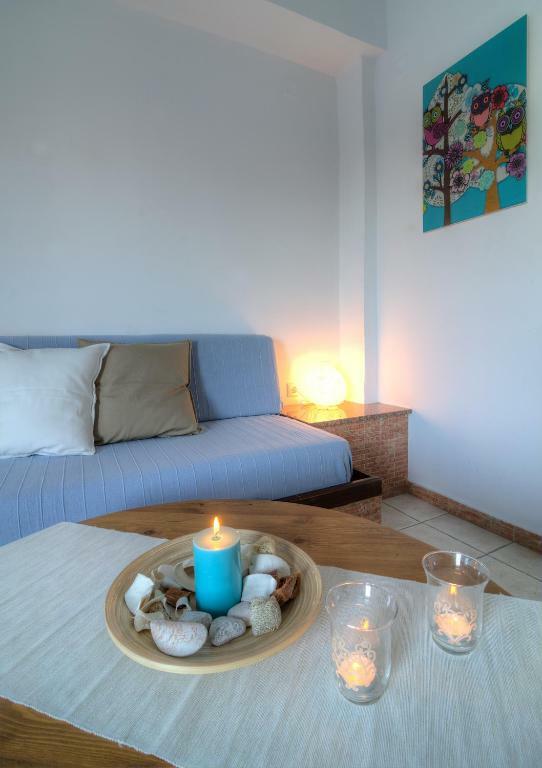 Location was centrally located to all the local places within walking distance to beach, harbour and old town. Would come back without hesitance. quite site and still close to every important site in Chersonissos; really good traditional breakfast, lovely people!!! utmost recommendable! 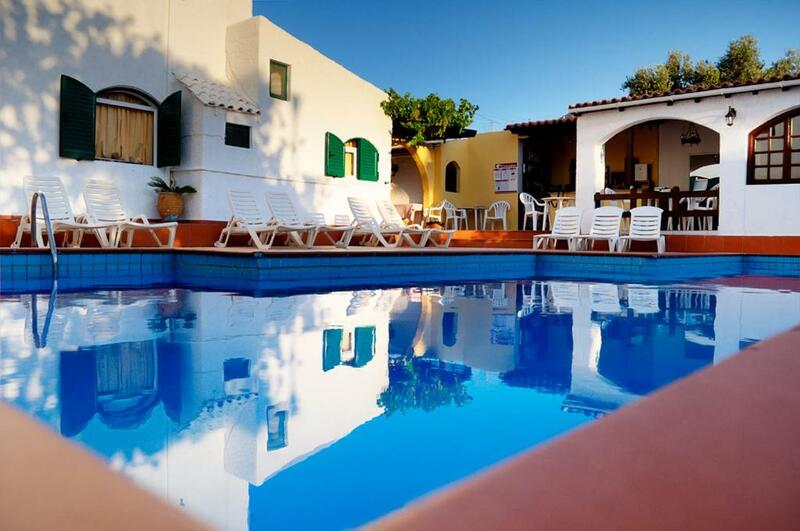 Lock in a great price for Elia & Tina Apartments – rated 9.1 by recent guests! One of our top picks in Hersonissos.Located in Hersonissos, 650 feet from the beach, Villa Elia & Tina features a pool and free WiFi in public areas. 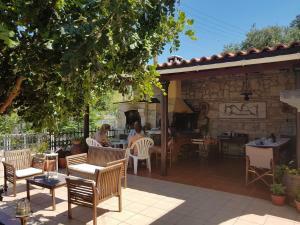 It offers self-catered rooms with a balcony overlooking the Cretan landscape and gardens. All apartments are spacious and feature tiled floors. They include a fully-equipped kitchen with a fridge and cooking hobs. Units offer a sitting area and a dining space. Bathrooms are stocked with soaps made with local olive oil and herbs from the owner's garden. A Greek-style breakfast at the family-run Elia & Tina Villa is served daily in the garden or in the dining room and consists of homemade jams, cookies and pies. Guests can enjoy drinks and light meals at the snack bar near the swimming pool. Homemade limoncello and sweets are offered to guests upon arrival. Guests can use the computer corner on site for free.There is a supermarket 350 feet from the property and the town center is a 5-minute walk away. Elia & Tina Apartments is within 0.9 mi from scenic Koutouloufari Village. Nikos Kazantzakis Heraklion Airport is 12 mi away. 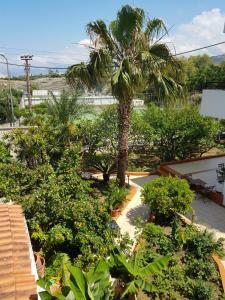 뀐 Located in the top-rated area in Hersonissos, this property has an excellent location score of 9.1! When would you like to stay at Elia & Tina Apartments? Located at the ground floor or the first floor, this bright apartment opens out to a patio or a balcony overlooking the garden. Homemade liqueur and traditional cookies are offered upon arrival. 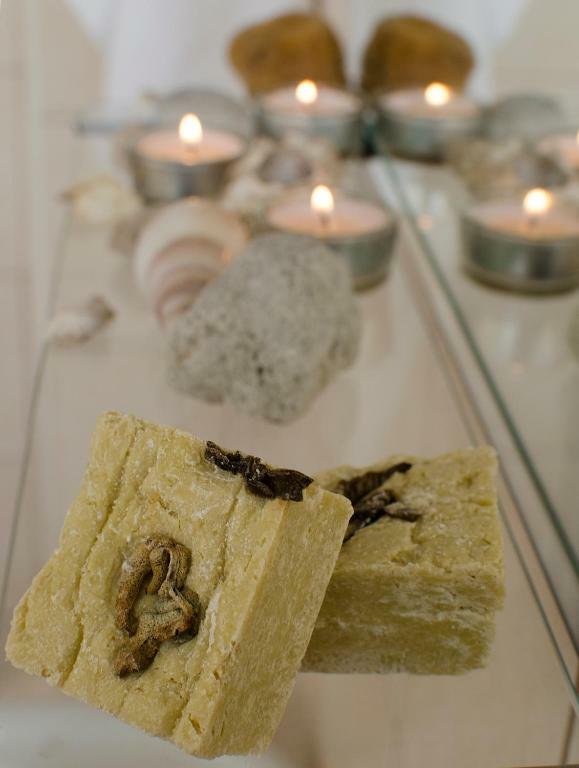 In the private bathroom, you will find olive-oil soap made by the property's owners. Some have 2 balconies. Please note that air conditioning is provided at EUR 5 per day. 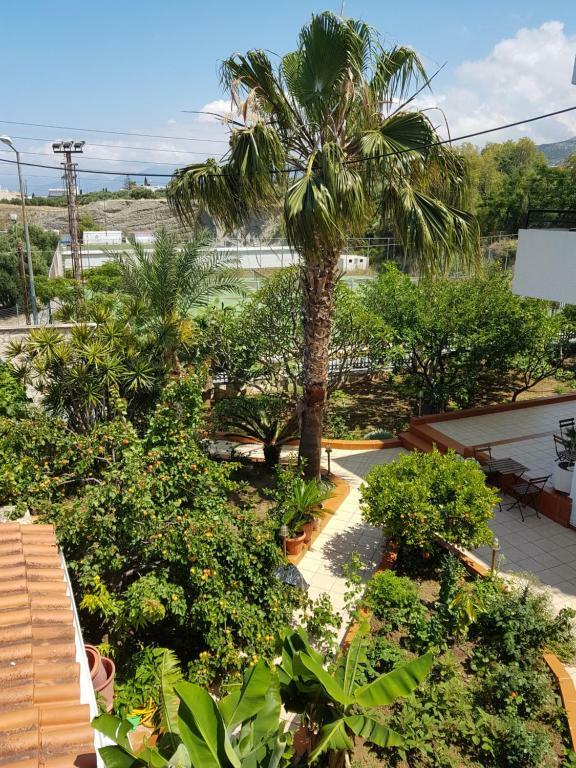 This bright apartment is located by the pool on the ground floor and offers garden views. Homemade liqueur and traditional cookies are offered upon arrival. In the small private bathroom, you will find olive-oil soap made by the property's owners. House Rules Elia & Tina Apartments takes special requests – add in the next step! Elia &amp; Tina Apartments accepts these cards and reserves the right to temporarily hold an amount prior to arrival. Elia & Tina Apartments accepts these cards and reserves the right to temporarily hold an amount prior to arrival. Please inform Elia & Tina Apartments of your expected arrival time in advance. You can use the Special Requests box when booking, or contact the property directly using the contact details in your confirmation. bathroom very small. view from balcony, overlooking car park area for trucks. The refrigerator is a bit weak. A soap dish has to be change by type and place. The property was clean at all times. Pool was great could really relax. Tina was always on hand any time you needed something and one of most helpful person always with sound advice. Our hostess, Tina, was a lovely lady - nothing was too much trouble. When it got very hot at night, she switched to air-con on and we only paid for the days we used. We only had breakfast on the last day but Tina prepared so many fresh things for us, she could have fed at least 6 people rather than two. The place was kept very clean, and most of the time we had the pool to ourselves, which was great. The bathroom had a small shower. Every Day fresh home made cakes. The B&B is perfect for a relaxing holiday but also very close to the city center. Good connection with the public bus lines and beaches. Occasional traffic noise from the road first thing in the morning. The property owner really is the loveliest, kindest lady, who went out of her way to make our stay enjoyable. Her delicious homemade breakfast is excellent and only 7 euro. The room was spotless and sheets changed several times during our 11 nights, and the cleaner was lovely too. The pool area and gardens were immaculate, I loved seeing all the fruit and veg growing in the gardens. The property is very close to all amenities. Location is a little distance from the beach (400m ish) but on hindsight is probably ideally placed to get you exploring! Tina must be one of the hardest working women in the Mediterranean nothing is to much bother whether it was a late late booking in due to our delayed flight or delicious breakfasts every morning (freshly baked cakes and home made marmalades were delicious).